Last year was a very interesting one for technology, as it saw the birth of the tablet computer... at least as we know it today. Apple once again took the mobile world by surprise by unveiling its iPad, which quickly managed to transform itself from a “gigantic iPod”, to the latest craze, proving that tablets have a significant spot in the present and future of consumer computing. Naturally, everyone else followed suit and started work on their own tablet solutions. Samsung was among the first ones to deliver a product to the market, in the form of its Galaxy Tab. However, the 7” slate was never really considered a true opponent to the iPad. Aside from its smaller form-factor, what actually left it uncompetitive was its software platform. It was near the end of 2010, and Honeycomb wasn't quite finished yet. Thus, the Galaxy Tab ran Froyo – a fact, which, for the most part, wrote its unfortunate destiny. Now we're deep in 2011, a Honeycomb tablet is spawning every now and then, and we're really beginning to see the first worthwhile, non-iPad offerings hit the shelves. Among the most noticeable ones are the new additions to Samsung's Galaxy Tab line, which includes the 8.9, 10.1, and most recently, the 7.7. The Galaxy Tab 10.1 can be purchased right now, while we've already played with a prototype version of the 8.9, but what should we expect from the 7.7? The device got announced just recently at IFA, and fortunately, Samsung was quick to bless us with an unfinished unit of those as well, so that's what we'll be looking at here. Armed with a slightly bigger, 7.7” screen, and more importantly, with a “true” tablet-optimized OS, will the Samsung Galaxy Tab 7.7 successfully take the place of Samsung's debut tablet, and aspire it to new heights? 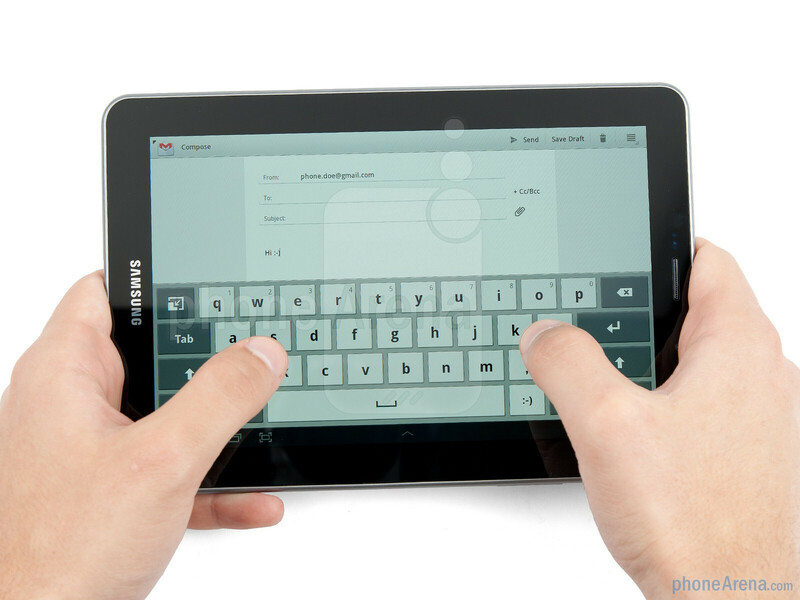 Samsung has done a terrific job with the design of the Galaxy Tab 7.7. It's way better than the OG Galaxy Tab, and even than the 10.1 and 8.9, which are all-plastic. In comparison, the Tab 7.7 has a stylish metal back cover, which, for the first time in a Samsung tablet, provides for a more classy feel. 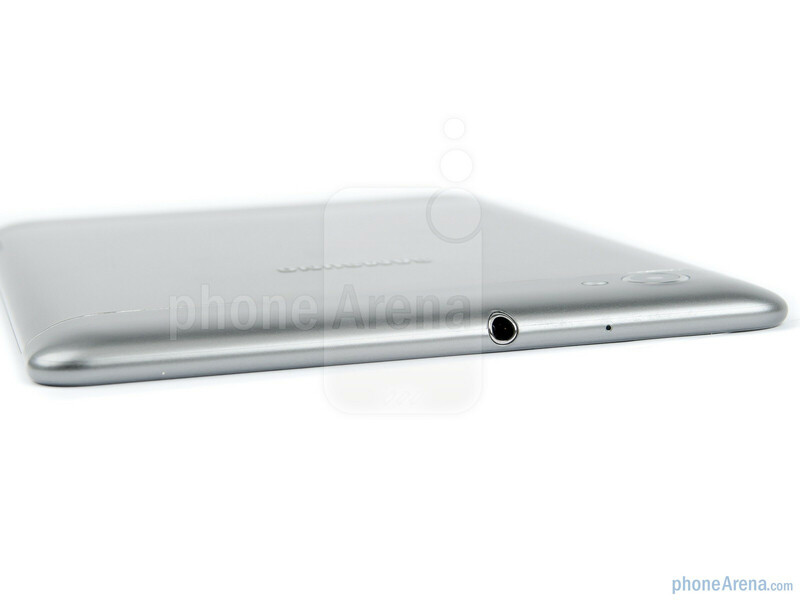 Not only that, but the 7.7 is also noticeably thinner than the iPad 2, and Galaxy Tab 10.1/8.9, at just 0.31” (7.89mm). Obviously, the Samsung Galaxy Tab 7.7 will be targeted towards consumers who want a smaller and lighter tablet, which they can bring anywhere with ease. Since it's only marginally bigger than the original Tab, the 7.7 is still quite easy to pick up and go, while it's actually even better in the weight department, at only 11.82 oz (335 g), versus the original Tab's 13.40 oz (380 g). The screen is where it gets interesting with the Samsung Galaxy Tab 7.7, as it makes the jump to using a Super AMOLED Plus display, instead of the traditional LCD. This is a first for a tablet, so it is inevitable for us to ask ourselves if this is a major step forwards in development of screen technology. Well, for the most part – it is. The AMOLED screen makes the experience of viewing pictures and video much more enjoyable, as it presents the user with incredibly deep contrasts, and lots of lively colors. It's indeed somewhat as if images come to life with such a big AMOLED screen. As you can imagine, colors are a bit colder on the AMOLED display, compared to a high-quality IPS-LCD for example, which manages to output a more natural balance, but this isn't really a big downer, as the difference isn't that big. The Galaxy Tab 7.7's display sports a resolution of 800x1280, which is great for this screen size, making even smaller text and other details appear crisp. Since this is a Honeycomb device, controls like “home”, “back” and so on are on-screen commands, instead of dedicated keys below the display. 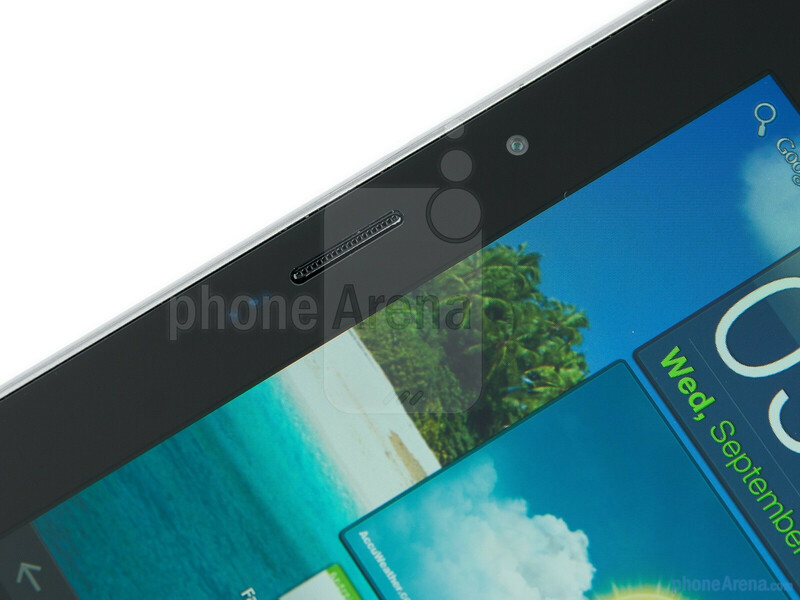 An interesting feature here is the infrared port on the right side of the tablet. We don't imagine that too many users will go crazy over it though. 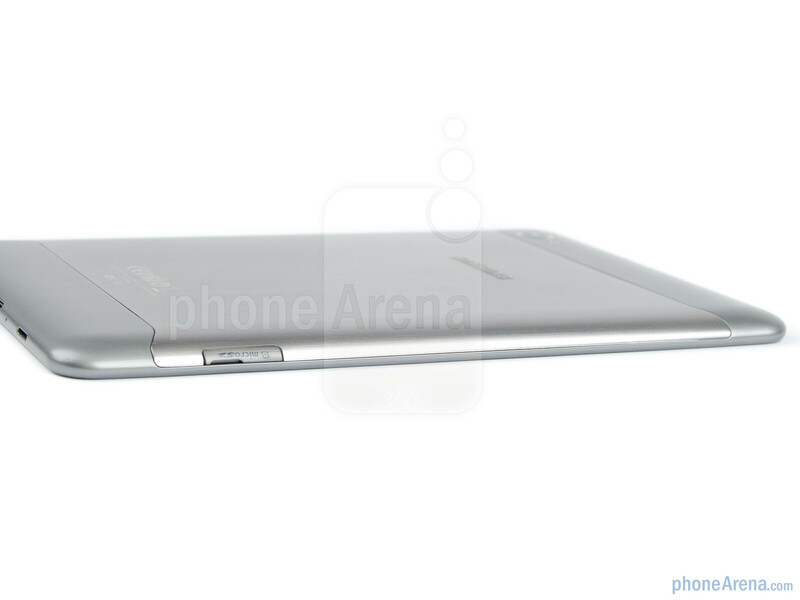 Overall, we're quite happy with the direction Samsung is taking things with the Galaxy Tab 7.7, in regards to build quality. With a brushed metal finish to the back and an extremely thin profile, the Samsung Galaxy Tab 7.7 takes the “amateurish” design of the OG Galaxy Tab and transforms it into a mature, classy product. When will these tablets become phone enabled? No you will not hold it up to your ear but you could voice dial with a Bluetooth Headset. I beleive as many of my friends do that this is next step in one device for everything. I agree... I would love to use this as a phone with bluetooth. That would be so much better than using 2 or 3 devices. I guess you could just get a Skype account. Are they going to have a wifi only Galaxy Tab 7.7? If so, I will consider buying that instead of the iPad 2. Just use Skype with a bluetooth. I do it on my Xoom! how much it cost for skype credit in india? you mentioned tegra2!!!! i surely hope you got that wrong as I was under the impression this was using exynos processor. 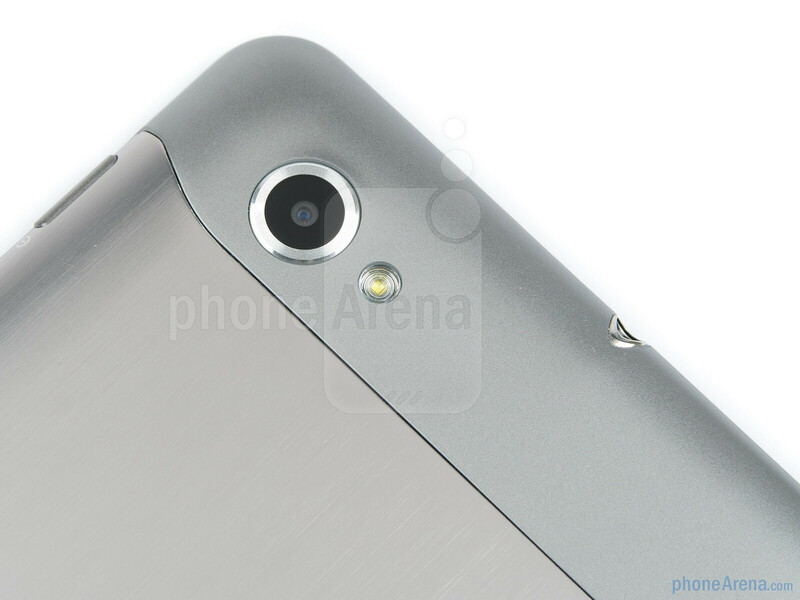 i will not buy it if is has that POS tegra2 inside it. What do you have against Tegra? MAybe Nokia is launchig it's first WP7 soon at the event ? 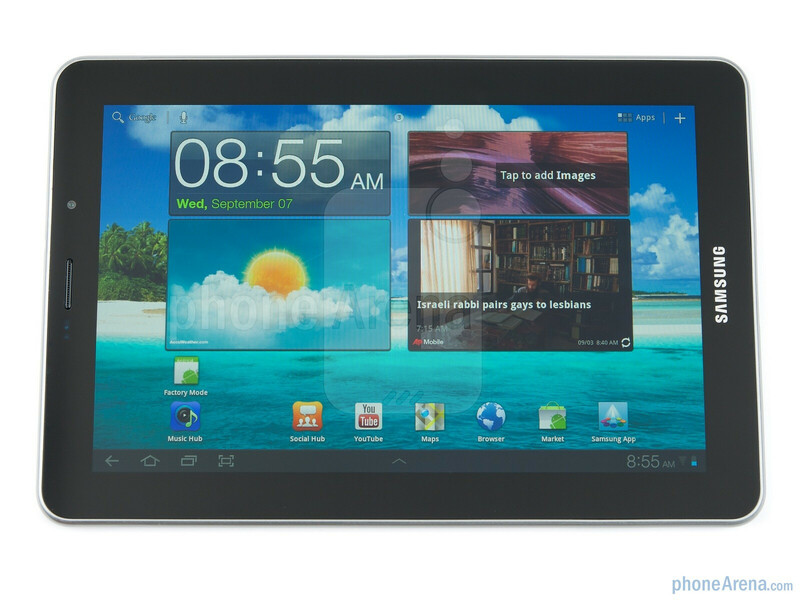 Wow the Samsung Galaxy Tab 7.7 is the sexiest 7" tablet ever. I can't wait until this comes out. I want a Wi-Fi version for my wife. It's perfect for her. She is in the market for a smaller tablet & this is clearly the winner. I can't wait until it's released. This is a sick little tablet. Actually from where I live... This Tablet has voice capabilities (the whole 9 yards)... and we also do Video Conferencing on it thru the provider....no hitches.... really fast too. why dont you keep the screen size the same as the first galaxy? why did you take out the SIM slot? you shot your self in the foot, this is your big advantage over other competitors. The proprietary port has me very disappointed. It's enough of a problem to make myself wait for something better later on. Too bad. I hope that Samsung will give their future smartphones the same premium materials instead of black plastic all the time. Tablet is looking good. by the time 7.7 comes out for sale, the other competitor will be having a better tablet.. and we will think twice to buy 7.7..
Good Job ! Samsung....... This is going to be killer. 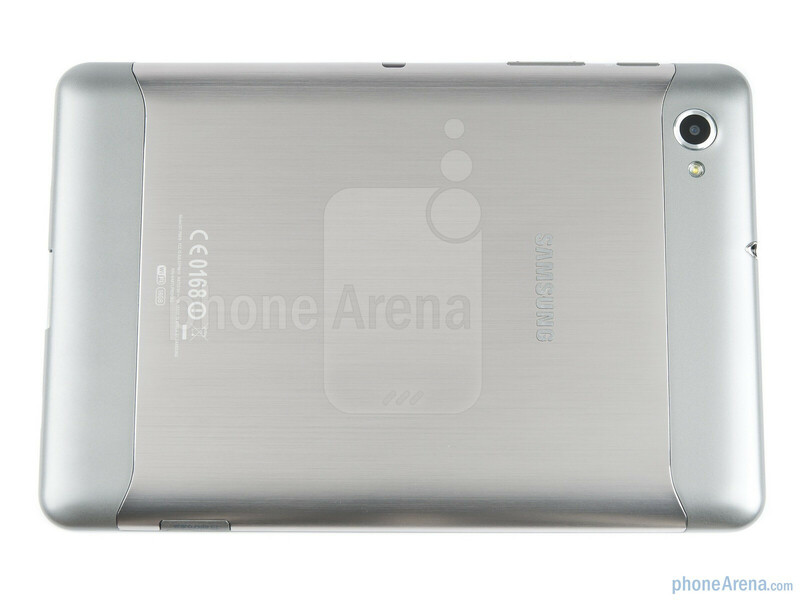 I have compare all other make of 7", 8.9 Tablet, this will be the one that i want. Good proportion screen size, if you compare to P...B, Opt...s, Fly..r, Vie...P 7x, Ico..a, G-...t, Med..P.D, Del...K 7, Tab 7.7 is a winner in every field. Please get it to the market fast......will be as HOT as IP2... When will it hit Asia market? did you know that there have appeared malignant tumours in users heads that are the same shape as bluetooth head set pieces? 50% increase in testicular cancer in the past 10 years? what are the EMR levels on these radiation gadgets? nice I hope that Samsung will give their future smartphones the same premium materials instead of black plastic all the time. Tablet is looking good. The Samsung Tab 7.7 is brilliant! I want to buy it. It's way better, faster, brighter and lighter than iPad. Shame on Apple for suppressing this great competitor's product everywhere. 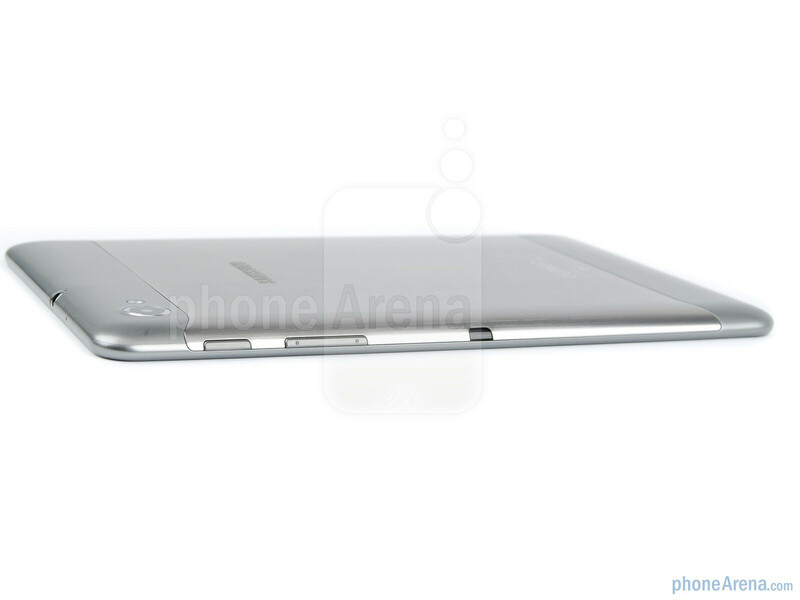 Apple loses me forever for its high-handedness! Does anyone know when the Samsung Tab 7.7 will be available in Asia? Here in asia, galaxy tabs of what ever model are also phones, they have sim card slots. You will be able to connect to the internet via 3G, able to texts and call (with a wired headset or bluetooth). oh i want it so much .can anyone buy me one?! 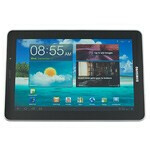 I use my Samsung Galaxy Tab 7" for phone calls on the T-Mobile USA network every day. Through a modem swap hack, I can use voice + 2G or swap into 3G mode without voice. My question is why do USA carriers block these functions when in Europe you can do both without issue? 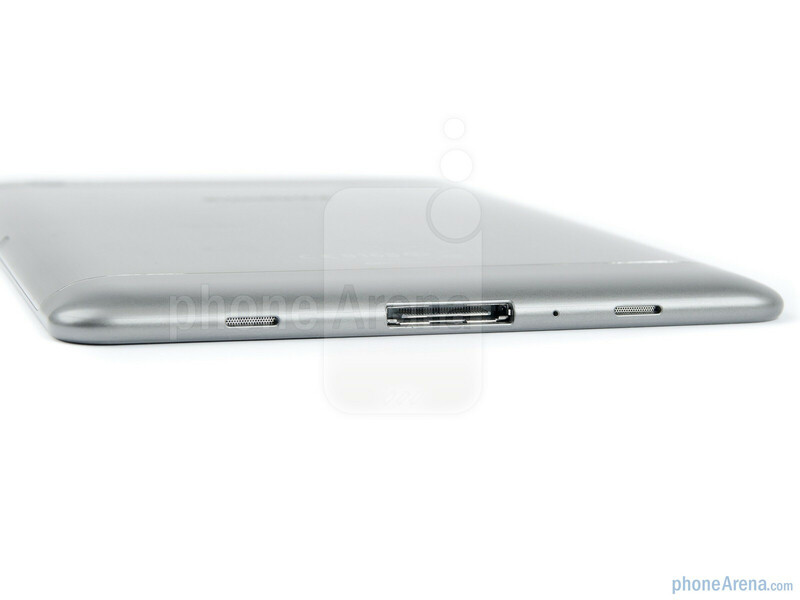 I would love to purchase this new 7.7" Galaxy Tab if it had the SIM slot for phone capabilities. Even with the crippling need to swap modem drivers (2G/3G) I still find the current Galaxy Tab 7" the most useful phone I have ever seen or used. It also slips into all of my pants pockets without problem. 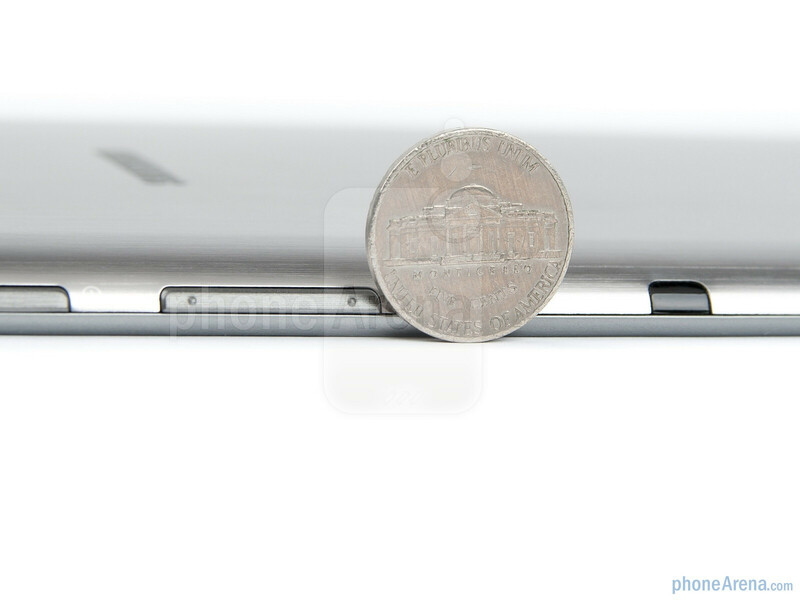 I cannot even look at a dinky 3.5" screen anymore without wanting to get sick from how tiny it is. No doubt this is the one that most people are expect to replaced its successor but will it have a same cellular function as the 7.0 offer? The only tablet that has me drooling. Want.